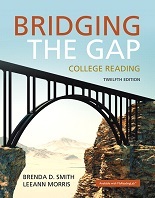 Bridging the Gap encourages students to build on their previous reading experience to develop strategies for the demands of college reading. The authors help students create schemata through numerous academic readings and videos, and ultimately build new “bridges” with text-to-text, text-to-world, and text-to-self connections. At the same time, fundamentals are strengthened through comprehensive skill instruction, critical-thinking activities, dependable exercises and examples, vocabulary development, and abundant high-interest readings. Each chapter introduces a new strategy, provides short exercises to review the strategy with students, and then offers practice through longer textbook selections. A new sequencing of topics begins with subjects that are critical to college reading success, and then moves to the higher levels of Bloom’s Taxonomy, which presents increasingly challenging and sophisticated reading skills. 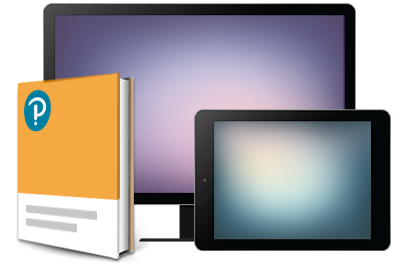 Additionally, each chapter can be taught as a separate unit to fit individual class or student needs.